A backyard of one’s own is one of the great attractions of living in the suburbs. 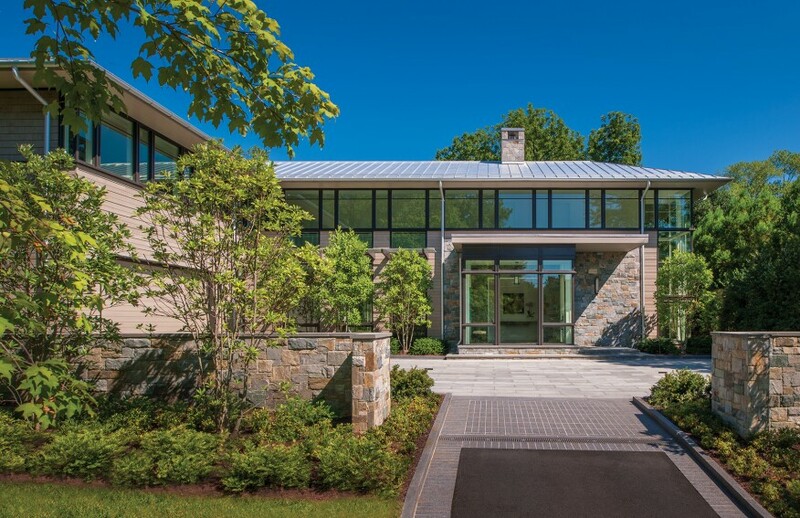 In a new home in Bethesda, Md., the backyard is elevated to even greater importance: It is the core of the home, and can be easily accessed from all of the main spaces of the house. Local firm Muse Architects designed the 10,290-square-foot home for a Chicago couple moving to the Washington, D.C., area. The couple had purchased a home on a nearly 22,000-square-foot lot, but the home itself wasn’t that inspiring. 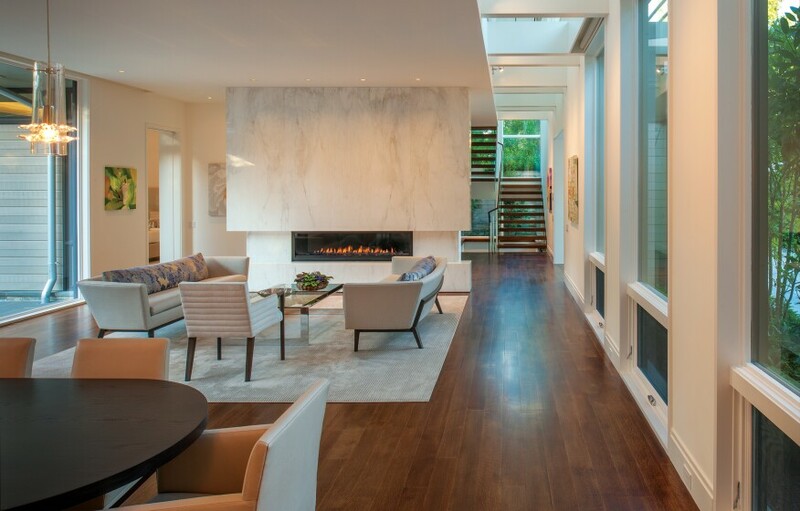 The home has a classic U-shaped floor plan that optimizes natural light and cross ventilation. According to the architects, building the house with an elongated footprint cost about 10% more than a compact rectangle, but it provides the luxury of privacy and views that never have to be screened. The walls facing the courtyard are mostly glass, while the exterior walls, which are built right up to the setback lines on either side, are mostly opaque. Providing the one-story living the couple desired, the master suite is located on the first floor with the living/dining room and kitchen/family room. Meanwhile, the second level has an office and three bedrooms to accommodate guests that include the couple’s grown children and their families. Rather than put the pool in the middle of the courtyard, the architects chose to make the centerpiece the patio and the lawn, placing the pool to one side off the master suite. “Most of the year, your pool is a pool cover,” explains Muse. The architecture is a nod to the Midwestern modernism of the clients’ former home city. “It sits very comfortably on the site,” says Muse. The architects took their inspiration from Frank Lloyd Wright and his Prairie style, giving the house hipped roofs and bands of windows. Wood framing on the windows, horizontal cedar siding, cedar roof shingles, and fieldstone walls bring the warmth of natural materials to the mix.